Fingerless Below the Elbow Cocktail Gloves Fingerless cocktail length satin gloves. With 10% lycra one size fits most. 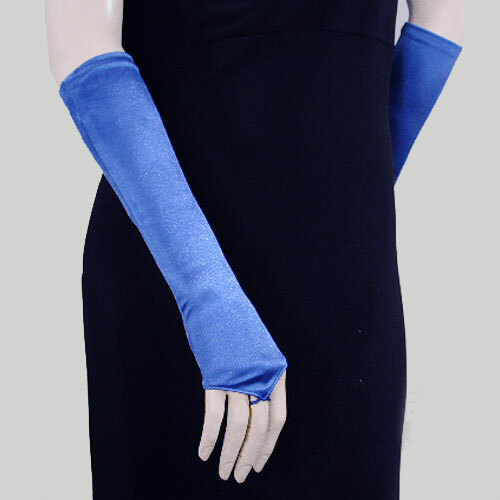 These are great gloves to wear with a sleeveless or short sleeve dress. They are not as formal as the elbow and opera length and the fingerless style lets you enjoy eating, drinking and other activities requiring finger dexterity. Color: royal Hue: Code: #0000FF.